Shantesh Kumar Singh is a resident of India. Recently he joined UNU-IIGH as a post-doctoral fellow under the research project entitled “governance for global health”. Prior to his current assignment, he was working as an Assistant professor in the Department of Political Science at Shaheed Bhagat Singh College, University of Delhi, India. To conduct his PhD field work, he has been at the School of Advanced International Affairs, Johns Hopkins University, Washington DC, USA for a short period. Dr. Singh is an alumna of Brown University’s International Advanced Research Institutes (BIARI) programme. Dr. Singh obtained his research degrees M.Phil./Ph.D. from the US Studies, School of International Studies, Jawaharlal Nehru University, New Delhi. He has been recipient of Junior/Senior Research fellowships of the University Grant’s Commission, New Delhi, India. He has also been recipient of postdoctoral fellowships of UGC and ICSSR, New Delhi, India. Doctoral research of Dr. Singh, examined the emerging United States policy of global public health and its fight against HIV/AIDS in India. His current focus is, most specifically, on peace-building through health/health governance in post-conflict settings of the world like Afghanistan and South Sudan. His area of research, largely, includes human security, health security, global health governance, global health diplomacy and global health policy. Despite this, he has also been engaged in writing papers on foreign policy issues. 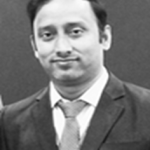 Dr. Singh has been published few of the books and several articles in reputed refereed journals.